> instructions and a 4-issue for when SV 32-bit ops are loop-generated. 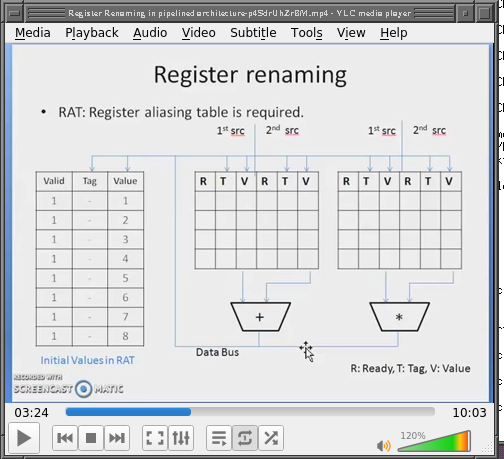 > registers do not overlap, the operations may be done in parallel. > 32 entries, however the CAM is only 4-bit or 3-bit wide. > destination of r4 for insn1, r24 for insn2, r16 for insn3.... etc. > registers, so *that* is fine, too. numbers (int or fp), so we'll probably need more than 8.
would shrink the latency to around 16 cycles. become a side-channel that speculated instructions can leak info through. vectors, which is a common graphics operation. > were for ST, X6 and X7 for LD.